If you have been invited to be an on-air guest of one of our locally produced programs, we have some information below to help make your experience enjoyable. Please try to arrive fifteen minutes before you must be on air. You will want time to be able to park and relax. 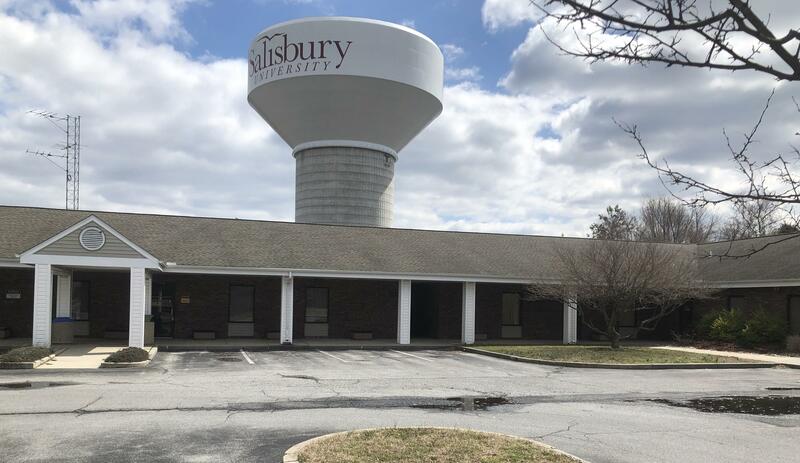 Delmarva Public Radio is located on the campus of Salisbury University behind the East Campus Complex. Parking spaces can be difficult to find when classes are in session. Allow yourself enough time to find a space. To avoid a parking fine, please click on the following link below at least one business day before your appointment. Street address: East Campus of Salisbury University; Power & Wayne Streets Salisbury, MD. Delmarva Public Radio is temporarily located behind The Edward H. Nabb Research Center for Delmarva History and Culture. From the West: Follow Route 50 East into Salisbury business district, bearing right and turning right onto Route 13 Business South. Continue south on Business Route 13 passing College Avenue; you will see Salisbury University on the right. Turn left at next light onto Bateman Street, crossing railroad tracks; you will see parking garage on right. Turn right onto Wayne Street. Go past University athletic fields and Power Street. Immediately past Power, turn left into parking lot. Delmarva Public Radio's broadcast studio is located behind the main building. Walk through the breezeway until you see a grey mobile unit (a trailer) with a wooden porch. From the East: Follow Route 50 West to Beaglin Park Drive. Turn left on Beaglin Park Drive; it becomes College Avenue after crossing Snow Hill Road. Take College Avenue to light at South Division Street; turn left onto South Division. Turn right at second light onto Milford Street. Take first right onto Wayne Street. Turn into second parking lot on right. Delmarva Public Radio's broadcast studio is located behind the main building. Walk through the breezeway until you see at grey mobile unit (a trailer) with a wooden porch. From the North: Take Route 13 Business south past Salisbury business district, passing College Avenue; you will see Salisbury University on the right. Turn left at next light onto Bateman Street, crossing railroad tracks; you will see parking garage on right. Turn right onto Wayne Street. Go past University athletic fields and Power Street. Immediately past Power, turn left into parking lot. Delmarva Public Radio's broadcast studio is located behind the main building. Walk through the breezeway until you see a grey mobile unit (a trailer) with a wooden porch. From the South: Take Route 13 Business north to Milford Street on right (just past Pine Bluff on left and before passing Salisbury University). Cross railroad tracks and take next left onto Wayne Street. Turn into second parking lot on right. Delmarva Public Radio's broadcast studio is located behind the main building. Walk through the breezeway until you see a grey mobile unit (a trailer) with a wooden porch. Approximate Driving Times: Salisbury, MD is approximately 30 miles west of Ocean City, MD; 1 1/2 hours east of the Chesapeake Bay Bridge; 2 hours from Baltimore, Washington, D.C., and Wilmington, DE; 3 hours from Norfolk, VA; and 4 1/2 hours from New York City.